Strong, durable, powder coated aluminium slats, with its beauty and strength will stand the test of time. Slatted doors will meet most council requirements. 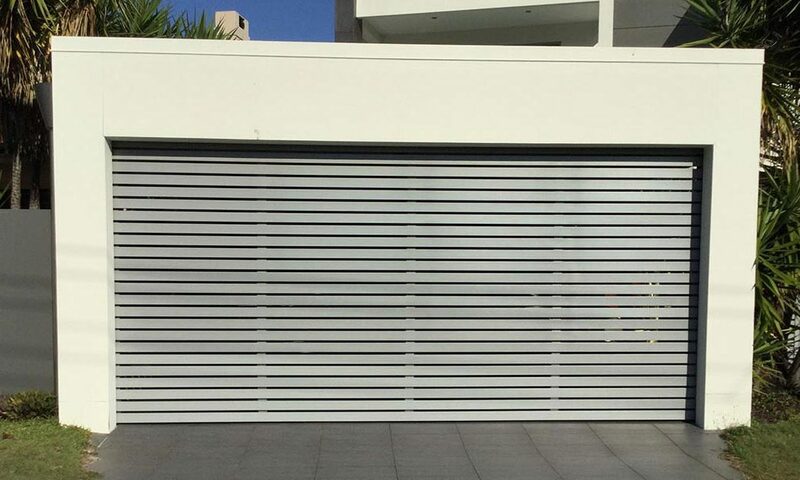 Aluminium slatted doors are manufactured on the Gold Coast using 65 x 16mm aluminium slats, 30mm gap welded to a 50 x 50 x 1.6 box section aluminium frame, powder coated to standard colour of your choice. Gap size varies depending on door height, approx. 30mm gap between the slats. Available in door sizes: 1485mm – 3050mm high & 2450mm – 6000mm wide.